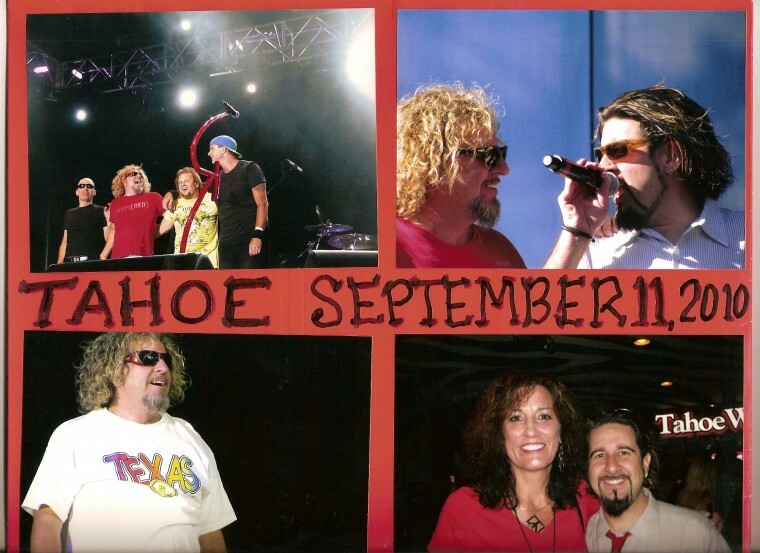 YES a night to remember, from the beauty of Tahoe, to the music from Chickenfoot, and Aaron with the Wabo's truly a great concert night. I went to this concert two and a half weeks after loosing my hubbie of 29 years to Lymphoma a rare kind. What a great night that happened for me. From Sammy putting on my t-shirt I brought from Texas, to Chad throwing me a drum stick, a cymbal stand at the end of the show, and to meeting Aaron at the end of the night at the VIP party. What a great guy like his POP! Just another RedHead that has followed you around for 17 years now. Your music rocks my world! Wishing you a very Happy Birthday from TEXAS! You wore my t-shirt in TAHOE! Thanks for that. You made my night at the concert. Get well and have a great day in CABO! Wishing you and your family a very blessed year. 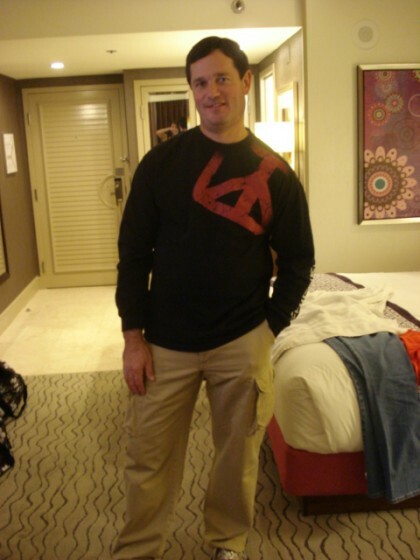 This picture was taken 12/5/09 before we went to the concert at HardRock to see Chickenfoot. We had gotten bad news that my hubbie may have cancer one day prior but got on the plane anyway to come see the band. The fight was going strong, good, and we splurged and got tickets to see Chickenfoot in Tahoe Sept. 9th as we just knew he would be in remission and we would celebrate. After 8 months fighting, my hubbie soul mate of 29 years passed last week. A Redhed that will be missed, we had many good times seeing Sammy! Many! Get Your Buzz On Live!